It was recently announced that Todd McFarlane's Spawn reboot cast Jeremy Renner as Detective Twitch Williams and now it has been revealed that the working title of the film will be Tony Dynamite and that it will begin filming in January of 2019. The Spawn reboot has been picking up steam for the last handful of months with Jamie Foxx and Renner joining the cast. Foxx admitted that he has been pursuing the role since 2012, revealing that he flew out to Arizona to meet with McFarlane to discuss the part of the titular character. 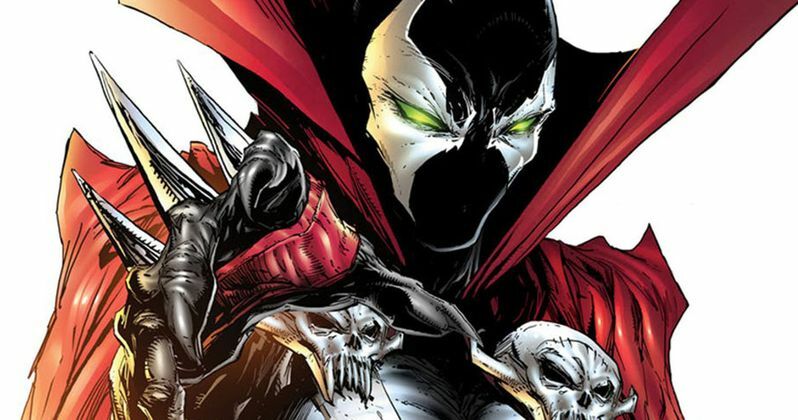 Todd McFarlane has discussed the direction of the Spawn reboot, noting that it will be more like a "supernatural thriller" as opposed to a horror movie. When talking about the horror genre, McFarlane said that it referred to a very specific movie in his eyes, which is not where he sees the reboot going, though there will be some horror elements thrown in the mix. Jamie Foxx has stated that he wants to play off of the good and bad parts of the titular character, someone that has seen it all, so that will be an interesting mix with that McFarlane is striving to do. Todd McFarlane's Spawn reboot does not currently have an official release date, but since filming is going to start at the beginning of next year, it's safe to say that a late 2019 or early 2020 release date is possible, depending on how smooth the production goes. McFarlane seems to be tackling the project with a sense of humor, especially if the Tony Twist and Tony Dynamite names are intertwined. You can read more about the working title of the Spawn reboot as well as the production start over at Production Weekly.